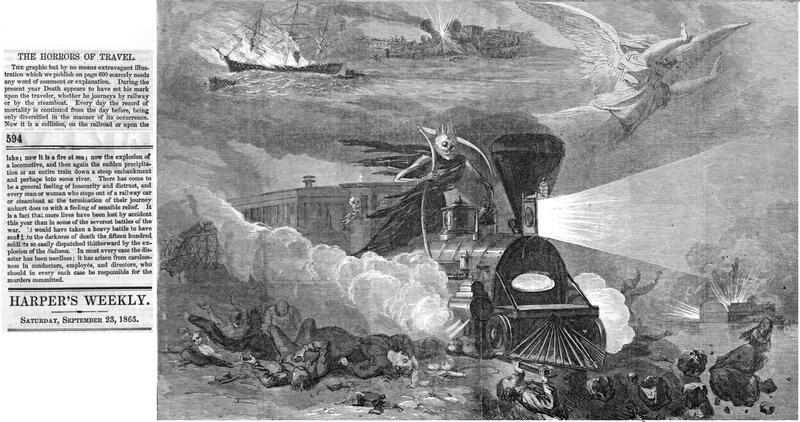 Not only did the early trains of the LIRR lack sufficient brakes to allow for street running operation, but steam powered travel posed all sorts of other hazards. These hazards include: boiler explosions, fires, derailments, bridge collapses, etc. Even steamboats (such as the Lexington) were sometimes destroyed by fire. 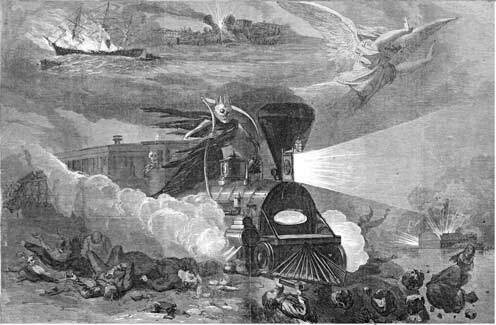 Harper's Weekly of Sept 23, 1865 summed it all up extremely well in this drawing and small article.